The Everest Cricket Club of Camp Road recently received from Adana Homes, a brokerage firm from Canada, gear to the value of G$113,000. 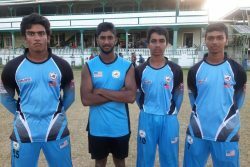 According to a release, Adana Homes, agreed to invest in the development of young cricketers of the Everest Cricket Club following a request from former President of the Berbice Cricket Board, Anil Beharry. 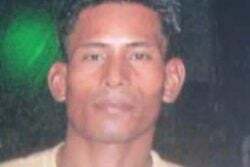 Beharry, the release stated is a good friend of Satishwar Persaud, owner of Adana Homes. Persaud himself is a cricket lover and owns the Cambridge Jaguars team of Canada. Some smiling young cricketers from Everest CC proudly display the gear in the presence of club member Juanita Mootoo, left and coach David Harper. At a simple ceremony recently at the club’s headquarters, the equipment consisting one gear bag, four pairs of batting gloves, three pairs of batting pads, one pair of wicket keeping pads and gloves, two helmets, two thigh pads, two batting inners and one box of red balls, was handed over to the club executives in the presence of players and their parents. Persaud, the release stated, said that he was happy to be part of the gesture of donating equipment and will continue to make meaningful contributions to his country of birth. 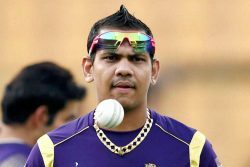 He expressed the hope that the young cricketers would care and make full use of the equipment and wished the young players well. He also challenged them to make a difference in Guyana and West Indies cricket, the release stated. 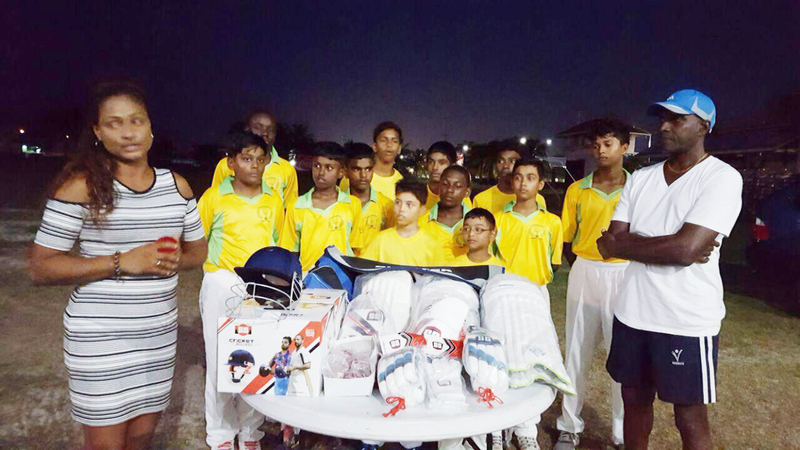 Beharry, in reply, thanked Persaud for providing the gear for the young cricketers and said that is it a great joy to share and care. 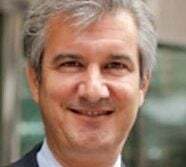 He commended the club for the interest in the development of its cricketers, in particular the younger ones and said that he hoped the generosity could help the club to win competitions and more importantly, produce more national and West Indies cricketers. He urged the youths to follow in the footsteps of test opener Rajendra Chandrika and other regional and international cricketers produced by the club over the years and to do even better. Speaking on behalf of the Everest Cricket Club, committee member and parent Juanita Mootoo thanked Adana Homes for the timely intervention, pointing out that the club was heavily concentrating on its youths so as to rebuild a stronger cricket structure with the aim to produce more national and West Indies players.